Do We Need an Anti-Virus for Ubuntu? As you know the Windows operating system allows application programs to access to system files. This makes viruses spread over the whole system easily to do damage on your system. Linux is strict with its permissions. A virus cannot gain the necessary privileges to destroy your system unless you want to do as a super user. In order words, your system files are protected at the high level. That is the reason why most of Linux users don't need a virus protection. So, I wonder that do we need an anti-virus for our Ubuntu box? In my opinion, the most valuable resource is your data. Hence, it need to be protected as well. Indeed, I always lock the door before I leave my house. Do you think that Linux viruses are coming? So, this tutorial will guide you how to install a Virus Scanner to protect your data. This installation can be applied for both Ubuntu and Kubuntu Gutsy. 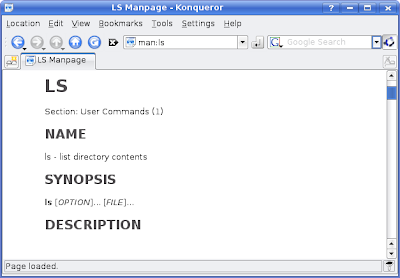 KDE 4.0's release event has ended finally last month (January 2008). KDE 4.0 is ready and now available to download. Get it here. In this post, you will be introduced several useful resources to know about KDE and new features in KDE 4.0. Firstly, I will show you two ways to check the current of your KDE. You should check this before upgrading to a new version. 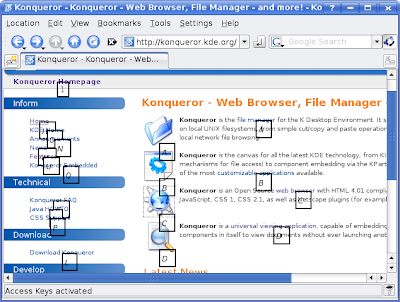 Graphical method: open Konqueror and look at what's written in "About"
Now, you can follows a screenshots tour with 50 nice pictures to know what is new in KDE 4.0. 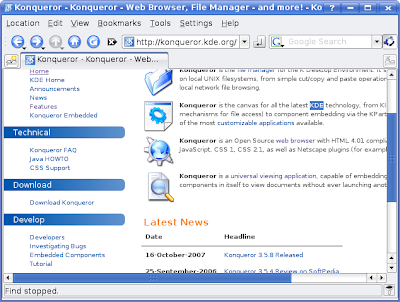 Then, this tutorial will tell you how to install KDE 4 in Kbuntu Gutsy. If you want to know more details of this release please watch "KDE 4.0 Release Event Keynote" below.